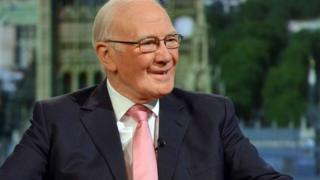 Former Liberal Democrat leader Sir Menzies Campbell is to lead the Scottish arm of a pro-EU campaign. The former MP for North East Fife, who stepped down in the last election, will head the European Movement in Scotland. The group is to organise a series of town-hall style events to promote the benefits of EU membership in the run-up to the referendum in June. Last week, high-profile nationalist Jim Sillars declared his intention to campaign for Britain to leave the EU. He said he had met and would be happy to work with former MP Nigel Griffiths, who is leading a Labour campaign in Scotland which is opposed to continued membership. EU referendum: What will happen when? Lord Campbell believed the EU's influence should be "absolutely cherished". He said: "Our message will be a simple one - every person in Scotland benefits from our membership of the EU. "Whether it is climate change, energy security, organised crime and terrorism or international trade, decisions taken by the EU are more effective than the ones made by 28 individual states. "The peace, stability and prosperity that the EU has brought to Scotland through our membership is to be absolutely cherished." He added: "Over the next few months we will be putting forward an unremitting and unashamedly positive case for our continued EU membership, ensuring that everyone can see the 'big picture' of the advantages our membership brings." Campaign groups have formed on both sides of the referendum debate ahead of the vote on 23 June. Those pushing to leave cite membership costs, increased bureaucracy and immigration issues as well as the influence of EU laws and regulations in the UK.